An hour and a half's ride east of Toronto brings you to the big hills of Northumberland and the beautiful Kawartha Lakes in the north. In these parts, the motorcycle rider is king. This is how they do it in Kawarthas Northumberland! The Northumberland landscape is characterized by huge hills and deep, wooded valleys that cascade south toward Lake Ontario and the Lakeside communities of Port Hope, Cobourg, Colborne, and Brighton. These communities have magnificently preserved their Victorian-era downtowns. A ride along their main streets will take you through the region's history, as well as past a great selection of antique shops, bakeries, farmers markets, and other interesting places to poke around in. Museums, galleries, and local industry tours complement the sense of stateliness that these Northumberland towns and cities inspire. As you ride north from the bustle of the city, the decorum of the Victorian age fades into the roar of your engine, and the upward sloping hills reveal bird's-eye views of the sparkling waters of Lake Ontario and the towns growing smaller behind you. 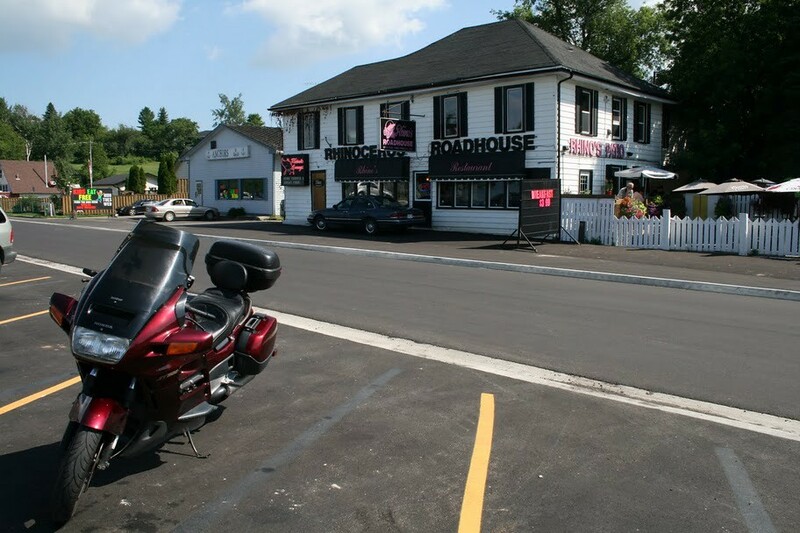 Rhino's Roadhouse on beautiful Rice Lake is a perfect place to stop for some stick-to-your-ribs food and a view of the lake. To the east alongside the Trent Waterway, Campbellford hosts "Chrome on the Canal," a motorcycle show that is attracting motophiles from all over the province. For detailed routes throughout the region and a first-person account of riding in the region, check out Mike Jacobs' article here. The city of Peterborough has a lot of great things going for it: a vibrant arts and culture scene, a huge collection of interesting places to eat and drink, the Otonabee river running right through the downtown (In how many cities can you see kayakers from the main streets? ), and premium motorcycling roads stretching out in every direction. Nearby Ganaraska Forest offers treetop trekking; the Lang Pioneer Village shows you how things were done when life was tough and the people were tougher; the Curve Lake Cultural Centre is an exciting introduction to the area's indigenous population; and there are plenty of reasons to head to Peterborough throughout the summer. But for the motorcycle enthusiast, there is one place you absolutely cannot pass over. Peterborough Cycle Salvage is a motorcycle parts and accessories buy/sell/trade destination second to none. Check out their store and yard! The roads here wind around and over the Onosabee, taking you to historic locks, and out to the lakes beyond. North of Peterborough the Kawartha Lakes (Stoney, Buckhorn, Chemong, Sturgeon) stretch out like claw marks across the land. This cornucopia of lakes and rivers creates a unique riding experience that is like riding a maze of rocky causeways. Ensconced between the lakes are dozens of charismatic little towns like Bobcaygeon, Fenelon Falls, and Lindsay that compel one to park the bike and indulge at one of their fine local establishments. There's everything from pub grub to fine dining out here; and many of the best places to refuel your human gas tank have lively patios overlooking the lakes. The Kawartha Lakes tourism site provides a guide to the highlights of each town. 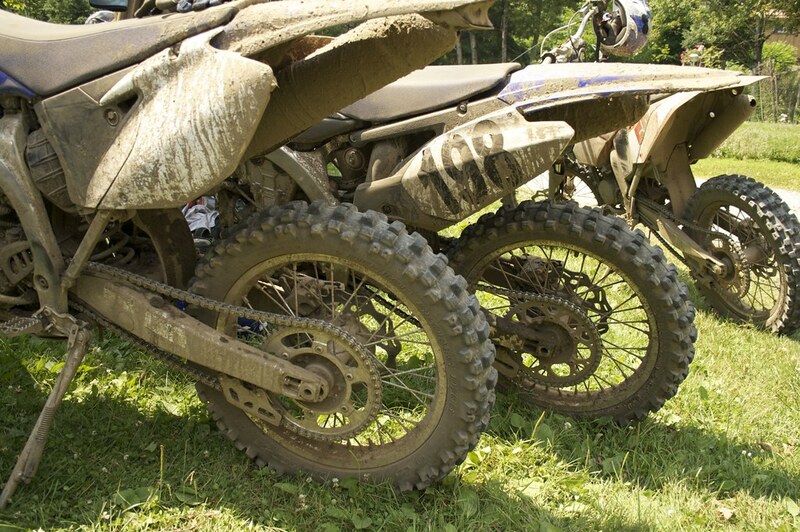 For example, out in Burnt River, motorcycle lovers Rob and Connie Greenlaw have developed a first-class off-roading facility. For a guaranteed blast of fun, spend a day on their track. But if you feel more comfortable on pavement, The Kawartha Lakes region's rural roads will provide more than enough action for your steed. 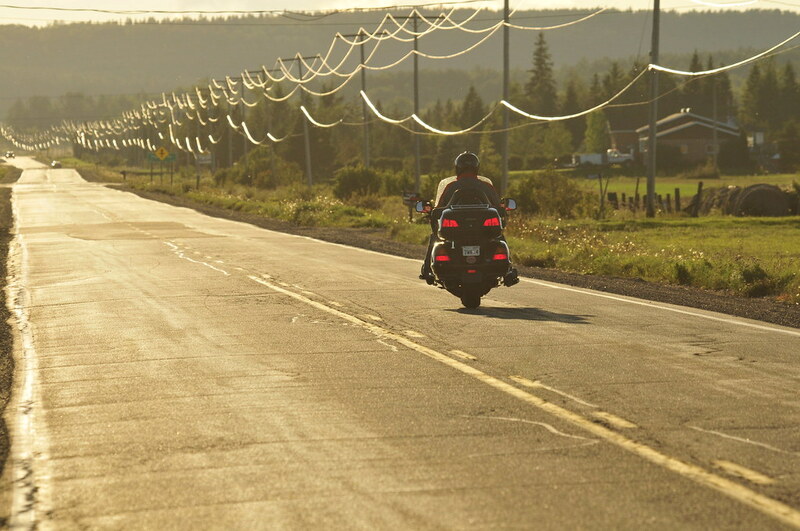 The lakes are situated at the edge of Canadian Shield country, which means exhilarating riding conditions. We have designed three diverse routes that jampack all the forested roads, hill climbs and sharp turns carved into granite that you could ever want. But don't be shy to veer a little ways off the beaten track; there are so many surprises out here still waiting to be discovered. While each area within the region has ample accommodations for weekend or week-long trips, there are also great opportunities for longer-term cottage rentals. Trail's End Lodge is one such establishment. Their cabins provide easy access to the lake and an excellent starting point for many a motorcycle journey. For more places to eat, stay, and play, check out http://kawarthasnorthumberland.ca. And to learn more about this four-season vacation destination check out OntarioTravel.net's Kawarthas and Northumberland section.